The Livestrong LS 8.0E Elliptical is the basic elliptical trainer from Livestrong Fitness but still manages to offer great value. The 23 lb flywheel provides for a smooth and stable elliptical motion while the 20 inch stride length enables a full range of motion, even for tall users. There are 16 levels of resistance as well as 5 different levels of incline for additional intensity. For optimum comfort and reduced stress, the pedals are designed to mimic the way we naturally move when running or walking. The display is somewhat basic but perfectly adequate, providing all key information. 9 pre-programmed training routines add variety. Heart rate is monitored using contact grips and the cooling fan is a nice feature. Warranty is reasonable at this price, lifetime on the frame and brakes, 1 year on parts and 1 year on in-home labor. 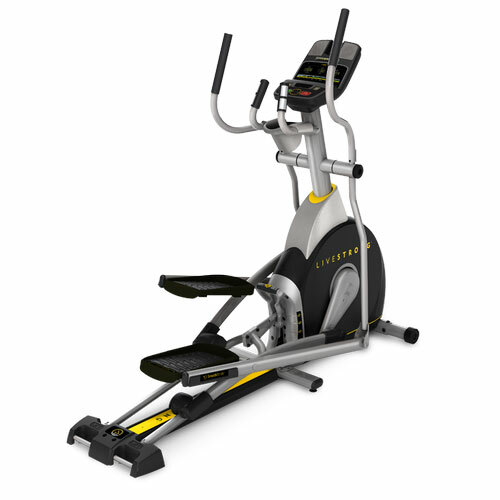 The Livestrong LS 8.0E elliptical trainer succeeds in combining quality and features with a very attractive price under $1000. Definitely should be a serious contender if this is your budget range.